ADDIS ABABA (HAN) December 2, 2015 – Public Diplomacy and Regional Stability Initiatives News. State Minister of Foreign Affairs, Ambassador Taye Atske-Selassie, met with the Special Envoy of the Swedish Prime Minister, Ambassador Marika Fahlen, on Tuesday (December 1). 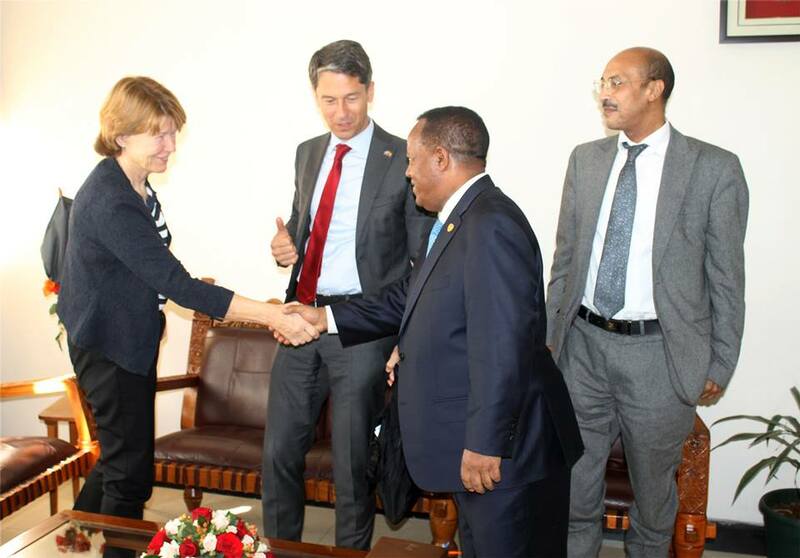 Ambassador Marika Fahlen, who conveyed warm greetings to Ambassador Taye and good wishes for continued good relations, acknowledged the excellent socio-economic and political relations between Ethiopia and Sweden. She also stressed that the continued relation between the two countries needed to be further strengthened. The Special Envoy emphasized that the Government of Sweden was fully aware of the strategic importance of Ethiopia in Africa and its links with other African countries and with international organizations working in Africa on peace keeping and peace building. Ambassador Marika Fahlen proposed the signing of a bilateral agreement between the two countries which could cover the operation of international companies like H and M or Ericson in Ethiopia. The Special Envoy also invited Dr. Tedros Adhanom, the Minster of Foreign Affairs, to visit Sweden.